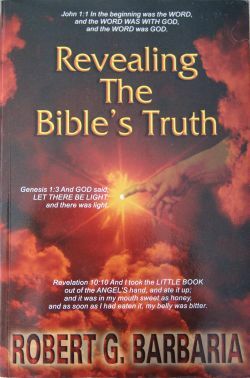 After experiencing a SUPERNATURAL EVENT on October 13 th 1997, Mr. Barbaria was directed by GOD to write this BOOK, titled "Revealing The Bible's TRUTH". This BOOK should be read in conjunction with the Holy Bible so it may further one’s UNDERSTANDING of the Holy Scriptures. Many of the MYSTERIES that are contained within the Scriptures of the Holy Bible are REVEALED through the writing of this BOOK and it speaks to issues concerning the World’s destiny and also to one’s SPIRITUAL AFTERLIFE. Events such as "The RAPTURE" and "The GREAT TRIBULATION" are explained in great detail rather than simply referred to in a general sense, as other books have done. GOD has given ALL that is written in this BOOK to its Author, with its TRUTH being verifiable by the Scriptures themselves. The Author who had never owned a Bible until 1997, hadn’t any opinions whatsoever on the WORD of GOD, and this is the way GOD intended for it to be, so HE could teach the Author without him having any preconceived notions of what the Scriptures mean. In summary, this BOOK is free from any opinions and is the INSPIRED WORD of GOD! Please note: Some of our readers have found that "Revealing The Bible's Truth" was initially difficult for them to understand, due to its spiritual depth. 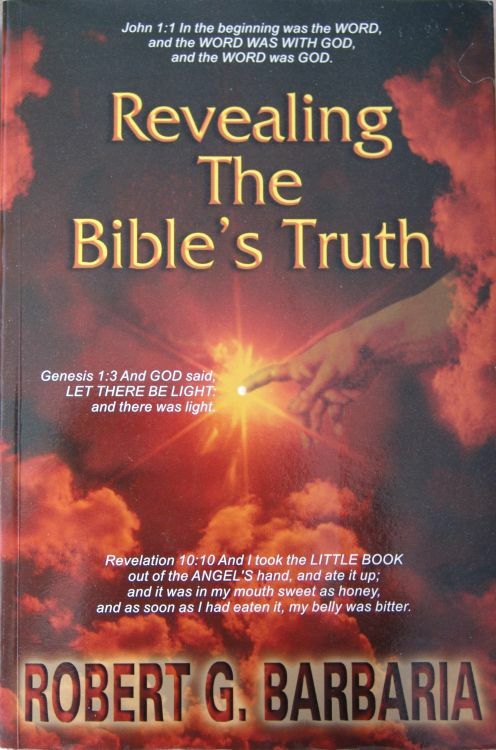 However; after their reading "THE ROD OF IRON", and re-reading "Revealing The Bible's Truth", the same readers found the spiritual message contained in "Revealing The Bible's Truth" to be significantly more apparent. We therefore recommend that if you find you are having difficulty comprehending the book's message, read "THE ROD OF IRON" prior to it. “UNDERSTANDING THE HOLY BIBLE is impossible on your own accord, because without the GUIDANCE of THE HOLY SPIRIT you cannot see beyond the FIRST LAYER. So therefore, without the HELP of THE LORD you cannot nor will you ever be able to UNDERSTAND the Holy Bible beyond its historical content”. “There are NINE ASCENDING LEVELS in HEAVEN and nine declining levels in Hell. The NINTH LEVEL of HEAVEN is the HIGHEST and HOLIEST PLACE and is called THE THRONE of GOD. The ninth level of Hell is the lowest place and it is called the bowels of Hell, this is where the devil (Lucifer) sits”.